Like-for-like sales at the struggling supermarket fell by 1.7%, slightly better than expected. Today the world got its first glimpse of just how badly the 'Big Four' supermarkets fared over the Christmas period. Unfortunately for Sainsbury's, its moving ad depicting the First World War's Christmas truce wasn't enough to stave off falling sales. The supermarket's results for the 14 weeks to January 3rd showed like-for-like sales down 1.7%, the first drop in more than a decade but not quite as bad as analysts had expected. Including fuel sales this fell to 3.9%. Of course chief executive Mike Coupe, who took over from the much feted Justin King in July, tried to put a positive spin on things, suggesting, ‘Sainsbury’s has provided a great Christmas for our customers. Food price deflation and falling fuel prices have enabled our customers to treat themselves over the festive period.’ True, but not exactly great for investors. That said, things could be much worse. 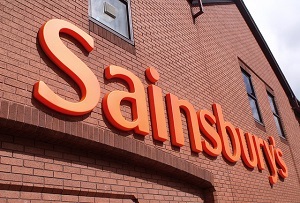 'Like-for-like sales slump aside, there is a lot Sainsbury's does right,' said Phil Dorrell, director of consultancy Retail Remedy. 'It has smaller stores than its competitors, a strong convenience business, a solid online proposition and some of the best own-label stats in the business. Taste the Difference is really starting to make a difference. The chain has been locked in a price war with its peers as Sainsbury’s and the rest of the ‘Big Four’ (Asda, Morrisons and Tesco) have come under siege from German discounters Aldi and Lidl. In November it announced plans to spend £150m on discounts and this week 700 products will have their prices snipped. The figures also gave an insight into the shift away from superstores and towards more regular shopping. Figures on Monday showed that construction of supermarkets outside town centres has fallen by 35% to 2.2 million square feet since 2012. Sainsbury’s opened 25 new convenience stores in the last three months and sales in that part of the business grew by 16%. With Tesco due to update investors tomorrow and Morrisons to do the same on Tuesday, analysts will be waiting with bated breath to see whether Sainsbury’s was the best or worst of a bad bunch.